In Normal Operation the Time Of Day Display will alternate being viewed with the Volume Remaining Display. Water flow through the unit is indicated by the Meter Arrow that will flash in a direct relationship to flow rate. As treated water is used, the Volume Remaining Display will count down from a maximum value to the calculated reserve capacity. Once this occurs, the Reserve Arrow will begin to flash as a indication that reserve capacity is being used. At the preset Regeneration Time a regeneration cycle will then be initiated immediately. supply is compatible with your unit before installation. 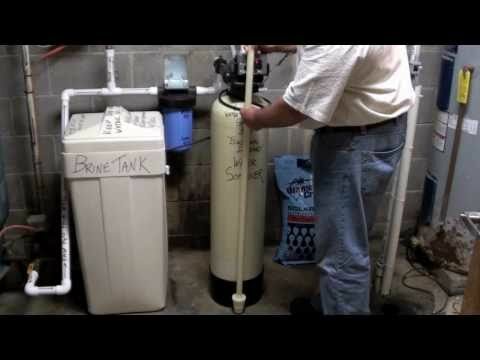 ahead of the water softener. according to local plumbing codes. BY-PASS VALVES: Always provide for the installation of a by-pass valve if unit is not equipped with one.